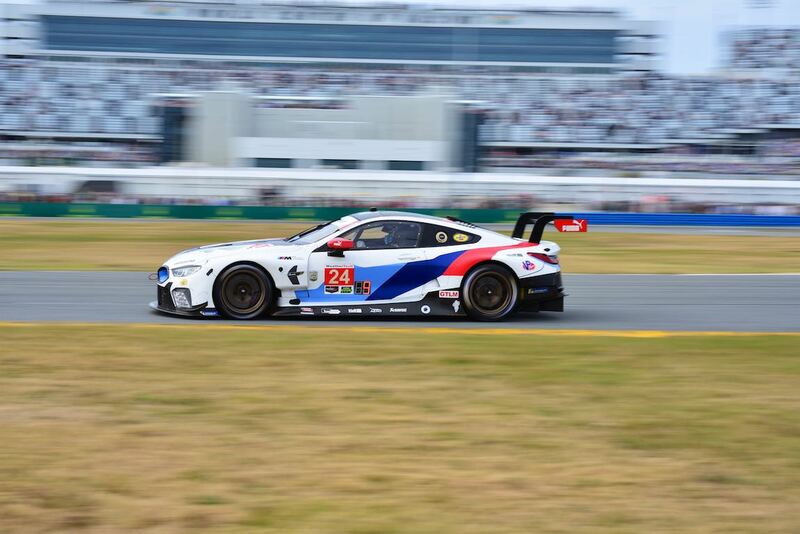 The Rolex 24 Hours of Daytona 2018 was held January 27-28 at the Daytona International Speedway in Daytona Beach, Florida. The 12-turn, 3.56-mile track is made up of portions of the NASCAR tri-oval and an infield road course. As the race began the teams and drivers set out to go the furthest in 24 grueling hours. The No. 5 Mustang Sampling Racing Cadillac DPi of Filipe Albuquerque, João Barbosa and Christian Fittipaldi won the 56th edition of the Rolex 24 Hours of Daytona, completing a record-breaking 808 laps of the famous Speedway in Florida. The No. 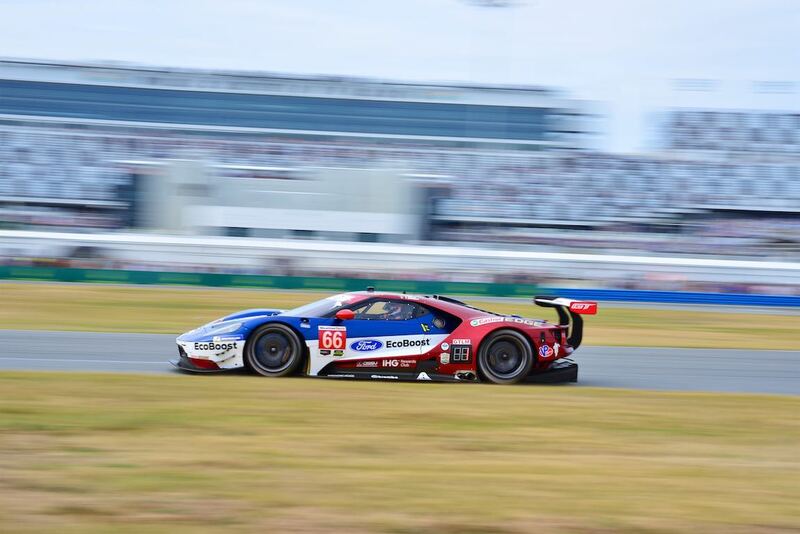 67 Ford GT Chip Ganassi Racing took victory in GT Le Mans (GTLM) and the No. 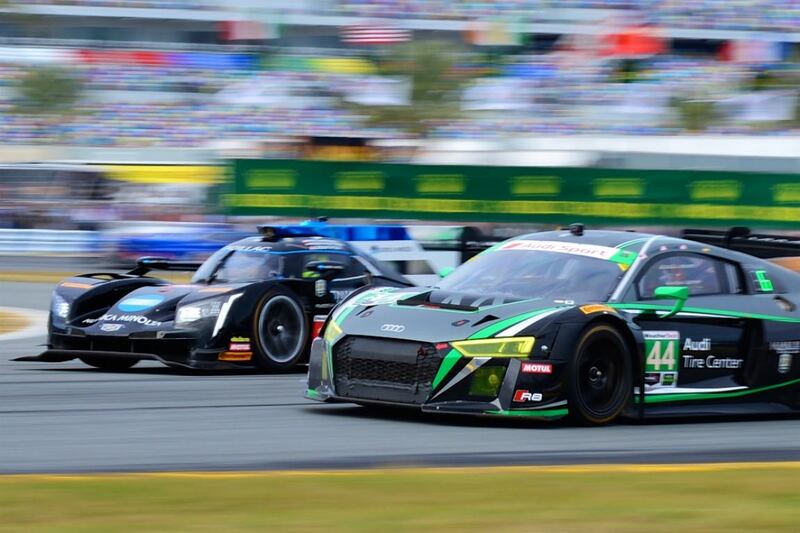 11 Grasser Racing Team Lamborghini Huracan GT3 triumphed in GT Daytona (GTD). 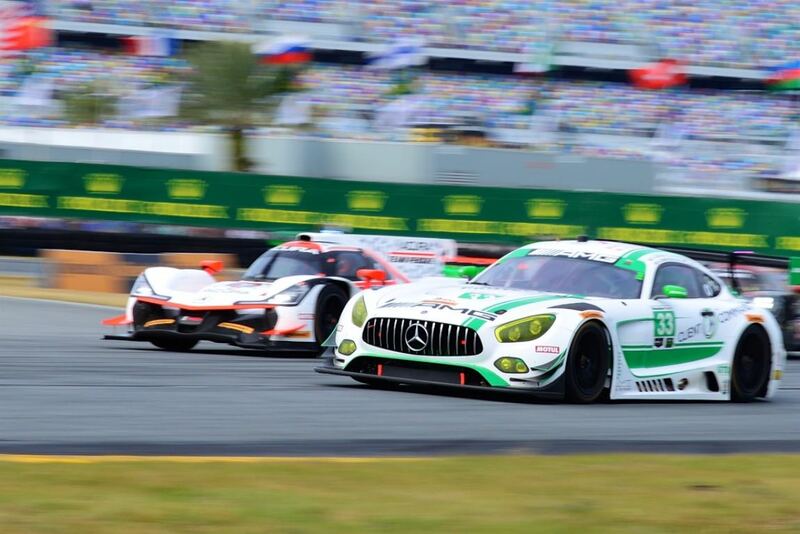 This year’s contest embodied the intense and demanding nature of modern-day endurance racing, with drivers pushing their cars to the limit lap after lap. The competitive line-up, endless traffic and a record-breaking laps made the Rolex 24 Hours of Daytona 2018 even tougher mentally and physically than previous races — justifying the race’s status as the ultimate test of endurance. 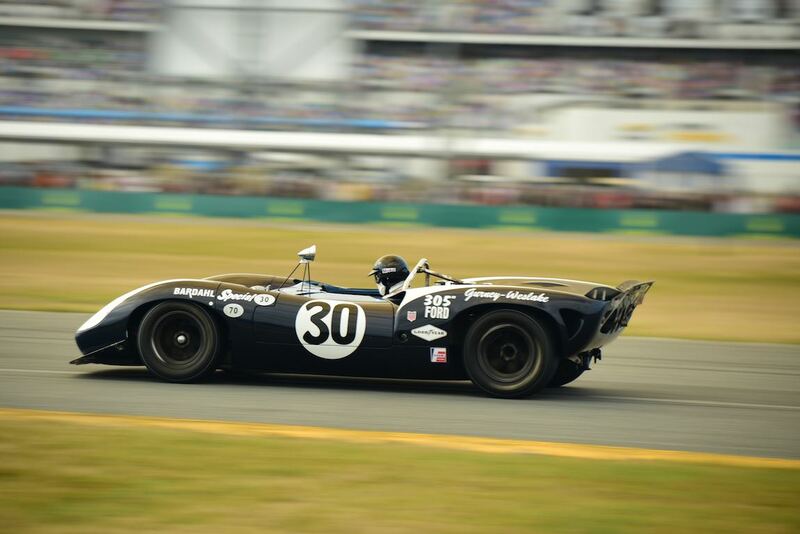 Motorsport champions competed for every inch of tarmac around the 3.56 mile Daytona International Speedway, attracting one of the largest in-field crowds in recent years to this twice-around-the-clock epic. It was an adrenaline-filled start, during which the No. 5 Mustang Sampling Racing and No. 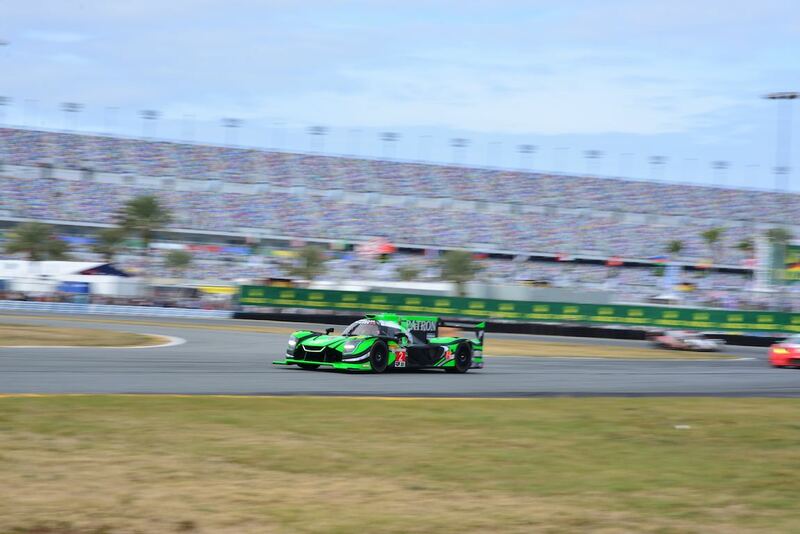 7 Acura Team Penske Prototype (P) cars shared the lead. When darkness fell, a surprise downpour of rain brought a flurry of pit stops as the majority of cars changed to wet weather tyres. The ability of the drivers and teams to adapt to the testing conditions further emphasized the depth and quality of this world-class field. As the track dried and the race reached the halfway mark, only 20 seconds separated the top four cars. In the early hours of Sunday morning, the No. 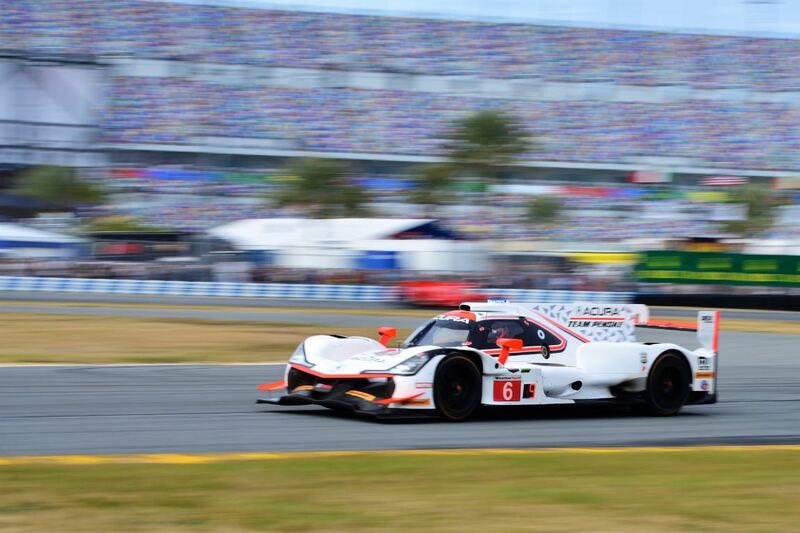 6 Acura Team Penske suffered a mechanical failure and the No. 7 had contact with the No. 31 Whelen Engineering Racing Cadillac DPi, forcing both Acuras into the garage, putting them more than 15 laps off the lead and ending their hopes of victory. From here, it was a controlled drive to the end for the No. 5 car, finishing 1:10.544 ahead of the No. 31 to be crowned champion. The GTLM category witnessed a historic 200th win and a one-two finish for Chip Ganassi Racing, making it an unforgettable weekend for team owner and the 2018 Rolex 24 Hours of Daytona Grand Marshal, Chip Ganassi. 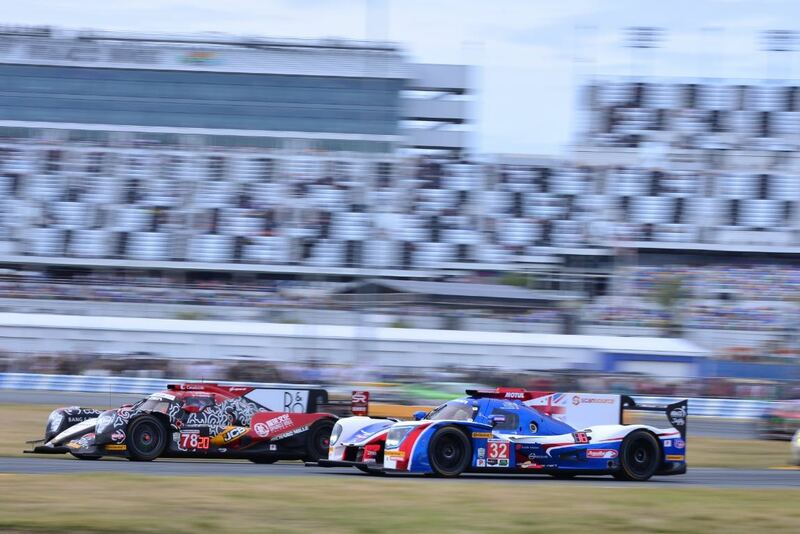 The triumphant car, driven by Ryan Briscoe, Richard Westbrook and Scott Dixon, took the lead with three hours remaining from sister car, No. 66 Ford Chip Ganassi Racing. The dominant Ford duo eventually finished two laps ahead of third placed No. 3 Chevrolet Corvette Racing C7.R. 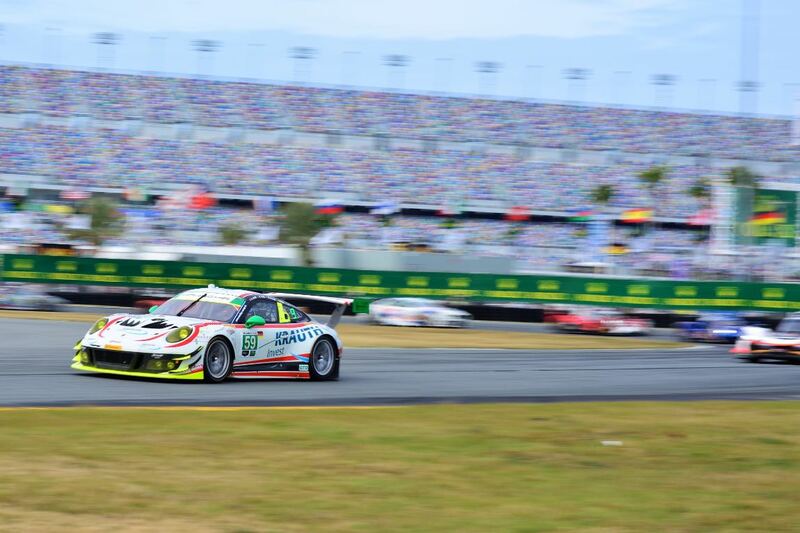 The GTD class saw a number of lead changes but finally the No. 11 Grasser Racing Team Lamborghini Huracan GT3 pulled out a healthy advantage to reach the 24-hour mark fastest. Piloted by Mirko Bortolotti, Rik Breukers, Franck Perera and Rolf Ineichen, this was the first success ever for Lamborghini in the 24 Hours of Daytona, only three years after the first race on the tri-oval of Dayton in 2016. 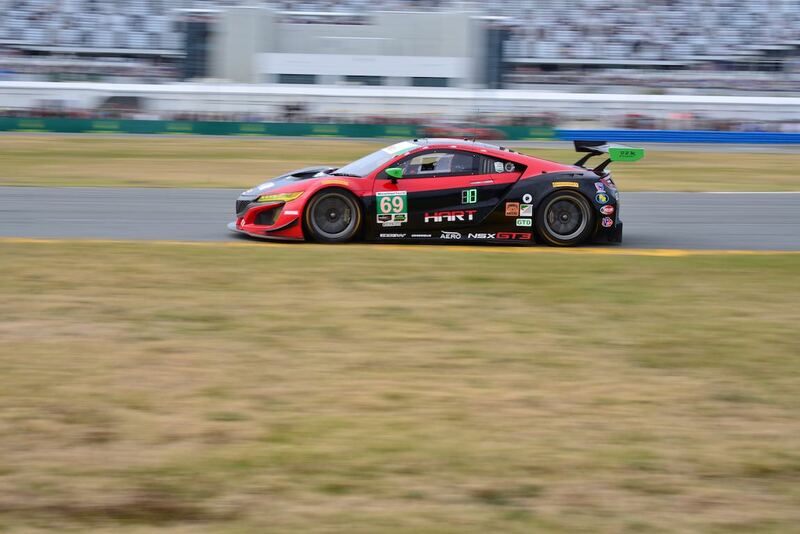 The Michael Shank Racing Acura NSX GT3 No. 86 of Alvaro Parente, Katherine Legge, A.J. Allmendinger and Trent Hindman finished in second place, followed on the podium by the No. 48 Paul Miller Racing Lamborghini Huracan GT3 of Andrea Caldarelli, Bryan Sellers, Madison Snow and Brice Miller. Crossing the finish line first at the Rolex 24 Hours of Daytona 2018 immortalizes the team and drivers’ performance, while underlining their commitment to motor sport. Following the race, this extraordinary quest for excellence is honoured with a specially engraved Rolex Oyster Perpetual Cosmograph Daytona. Legendary racer Dan Gurney, who passed away on January 14 at the age of 86, was honored throughout the Rolex 24. Cars and drivers throughout the field paid tribute with commemorative car and helmet decals, while the No. 30 Lola T70 race car that Gurney drove to victory in the 1966 Can-Am race at Bridgehampton in New York led the field around on its pre-race parade lap. Among Gurney’s many other achievements as a driver, team owner and constructor was his Toyota-powered Eagle Mk III Prototype, in which PJ Jones set the all-time Rolex 24 of Daytona qualifying record that still stands today. Similar to 2010, 2011, 2012, 2013, 2014, 2015, 2016 and 2017, Sports Car Digest also documented the racing action at the Rolex 24 Hours of Daytona 2018 with photographers Mark Coughlin and Kevin Davis offering the following selection from the road course at Daytona. The unauthorized use and/or duplication of any editorial or photographic content from SportsCarDigest.com without express and written permission from the publisher is strictly prohibited. Excerpts and links may be used, provided that full and clear credit is given to SportsCarDigest.com with appropriate and specific direction to the original content.